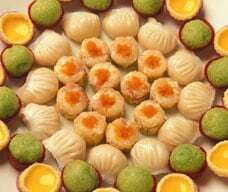 Macao features a wide variety of food from most Mainland provinces. 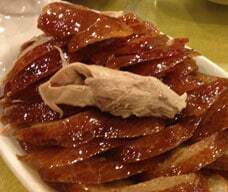 Peking duck is the highlight of Peking cuisine, while steamed buns with minced pork filling, wontons and freshwater hairy crabs are renowned Shanghainese dishes. Lovers of spicy food can also enjoy signature Sichuan soups and hotpots in Macao. When it comes to ‘Yum Cha’ (literally ‘drink tea’) devotees are spoilt for choice, with many hotels and restaurants in Macao serving a cornucopia of ‘Dim Sum’ specialties such as ‘Har Gau’ (steamed dumplings stuffed with shrimp), ‘Shiu Mai’ (steamed dumplings stuffed with pork and shrimp) and Tsun Guen (Fried rolls of shrimp and vegetables). 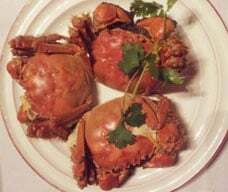 Other famous Guangdong dishes include roasted meats, seafood and other delicate dishes. ‘Dim Sum’ is commonly accompanied by tea, particularly jasmine (‘Heong pin cha’) or red tea (‘Pou lei’).